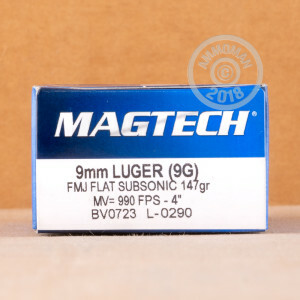 This is 9mm 147 grain FMC ammo from Magtech. These rounds are perfect for the range and suppressed firearms. If you use heavier grain 9mm ammo for your personal protection rounds, this ammo will be great for your practice sessions. 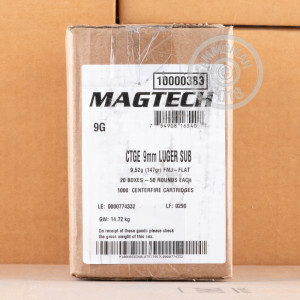 Magtech has been manufacturing ammunition since 1926, and their primary focus is to provide the best ammo utilizing high quality components. Because of this focus, you can count on these Magtech rounds to be reliable and accurate every trip to the range. 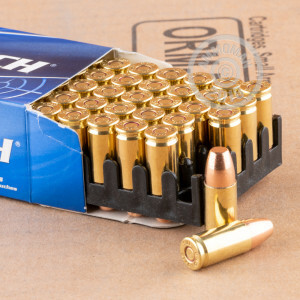 This ammo is new production, non-corrosive, in boxer primed, reloadable brass cases. Add one of these cases to your cart to take advantage of AmmoMan's free shipping on orders over $99!